Charles Richard Colclasure, age 77, of Flora, Illinois passed away at 7:52 a.m. Monday, November 19, 2018 at St. Vincent Hospital in Evansville, Illinois. Charles was born on February 17, 1941 in Iola, Illinois, the son of James and Jane (Webb) Colclasure. He married Viola Mae Miller on June 3, 1976 in Louisville, Illinois. She preceded him in death on January 2, 2016. 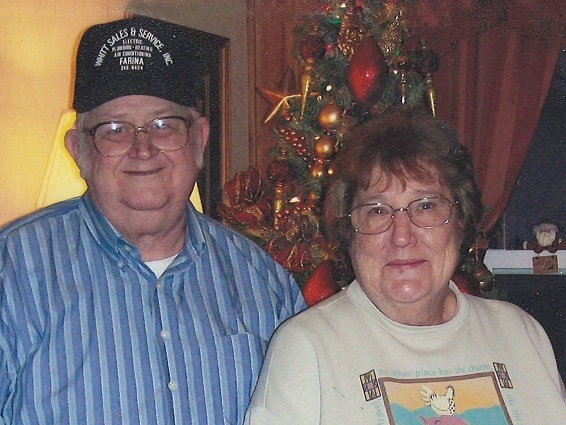 There will be a graveside service dedicated to Charles and Viola at 10:00 a.m. Saturday, November 24, 2018 at Iola Cemetery in Iola, Illinois. Memorials may go to the donor’s choice. He survived by his two sons, Richard Colclasure (wife Barb) of Flora, Illinois and Carl Colclasure of Flora, Illinois; daughter, Janet McDaniel (husband Glenn) of Evansville, Indiana; six grandchildren and many great-grandchildren. He was preceded in death by his parents, James and Jane Colclasure.